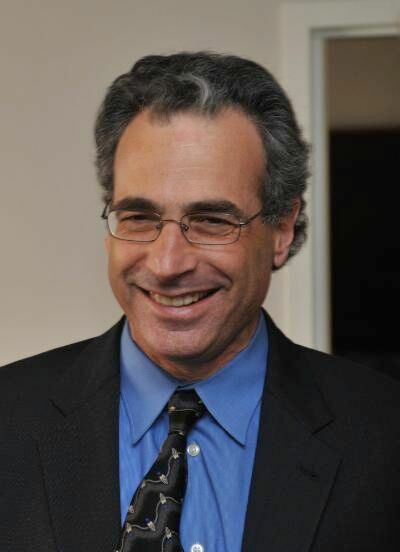 Michael Shuman is an economist, attorney, and globally recognized expert on community economics. He is one of the architects of the crowdfunding reforms that became the Jumpstart Our Business Startups Act (JOBS Act), signed into law in April 2012. He is the author of nine books, including Local Dollars: Local Sense, The Small-Mart Revolution, and Going Local. In 2015, Shuman’s newest book, The Local Economy Solution, was published by Chelsea Green. It presents the stories of 28 “pollinator” enterprises that are nurturing local businesses in self-financing ways. Additionally, Shuman is a fellow at Cutting Edge Capital and the Post-Carbon Institute and is a founding board member of the Business Alliance for Local Living Economies (BALLE). Shuman has also advised countless communities on strategies to increase local economic multipliers, and just completed (with Gwen Hallsmith) a handbook on local investment opportunities in Vermont. Could you talk about your background and how you became involved in the “buy local” movement? Since 1982, after completing Stanford Law School, I’ve been trying to connect communities to the world. I spent my first ten years mobilizing cities to get involved in foreign policy through a nonprofit I started called the Center for Innovative Diplomacy. We published a Bulletin of Municipal Foreign Policy, which went to thousands of local elected officials across the United States, and showed how cities were promoting peace through nuclear-free zones, fighting apartheid in South Africa through divestment campaigns, and opposing the Contras’ war through Nicaraguan sister cities. With support of the Kellogg National Leadership Program, I began to see how these municipal tools could promote North-South development cooperation. I then studied the work of a group based in the Hague called Towns and Development, and wrote an evaluation of their work in a book called Towards a Global Village (Pluto, 1994). I was generally very enthusiastic about the European city-to-city movement, except that I felt that their theory and practice around sustainable economics fell far short of their (and my) aspirations. That led me to start thinking about community economics. This was also around the time that I moved from San Francisco to Washington, and began working at the Institute for Policy Studies—first as a visiting fellow, then as a paid fellow, and then as director for six years. During this time, I wrote Going Local (Free Press, 1998), the first of four books on localization. Going Local laid out a theory of local economics. The next book, The Small-Mart Revolution (Berrett-Koehler, 2006) showed how local businesses were competing successfully against global corporations. I then concluded that the most difficult challenge local businesses faced was getting needed capital, so my next book, Local Dollars, Local Sense (Chelsea Green, 2006) focused on local investment. The most recent book, The Local Economy Solution, suggests that communities can carry out economic development more effectively by focusing on local business, and that self-financing pollinators offer the cheapest way for them to do so. The book encourages the local economy movement to ensure that more and more of its work depends not on foundation grants, but rather on sound business structures. You’ve done a lot of consulting studies on local procurement. Just how much of an economic difference does local procurement make? What these studies do – and I’ve authored about 20 of them — is look at what would happen to a community, city, or region if the presence of local industry grows. What would happen if you increased local purchasing by consumers, businesses, and government procurement and local industry expanded accordingly? Some of these studies look at a 10%, 20%, or 25% shift of the entire economy. Some look specifically at localization of food sectors. It turns out that even a very modest shift generates a huge number of jobs. For example, Leslie Schaller, Brad Masi, and I did a study of metro Cleveland five years ago looking at the impact of a 25% shift toward local food. We found that this shift would generate 27,000 new jobs, $250 million more of tax revenues, and nearly $1 billion more in wages. The job impact is so profound that it would reemploy 1 in 8 unemployed residents of the region. Food, of course, is just one sector. If you localize other sectors modestly, the job impact can be even more profound. Are there cities where you can point to a shift in the right direction that comes out of this work? We still need better proof that the results our studies predict actually occur. That said, there are some interesting success stories. One comes from Hardwick, Vermont. The New York Times did a front-page story in 2008 about a concerted effort to build local food businesses in a town of 3,000 people. At a time when nearly all rural communities were losing jobs because of the recession, Hardwick had created 100 new jobs. It’s also useful to look at regression analyses that have evaluated the differences between communities with a high density of local business and those with a low density. One study published in the Harvard Business Review in the summer of 2010 found that local-business communities have a higher per capita job growth rate. Two other studies, one from the Economic Development Quarterly and another from the Federal Reserve of Atlanta, found that local-business communities have higher per capita income-growth rates. In other words, if you want to reduce inequality, growing local businesses is one important tool. In your most recent book, you describe a group of enterprises that you call “pollinators.” What is a pollinator business? How do you define the approach? A “pollinator” is a social enterprise with an explicit mission to support other local businesses—and it does so in a way that is self-financing. What I argue in the book is that pollinators are increasingly carrying out the functions of local economic development, which I organize around “P” words: planning, people, partners, purchasing, purse, and policy making. Planning involves several different activities. It includes helping local business plan to become more efficient. It includes “place making.” It also refers to economic development planning, which means identifying dollar leaks in your economy – all the instances where residents are unnecessarily purchasing outside goods and services – and then preparing plans to plug those leaks through new, import-substitution local businesses. People is about entrepreneurship. How do we mobilize people to lead or staff new leak-plugging local businesses? Partners is about building teams of local businesses that are more effective and more competitive working together than working separately. Purchasing is about buy-local initiatives by individuals, businesses, or government agencies. Purse is about local investments. How do you tap short-term savings in banks and credit unions or long-term savings in pensions for investing in local business? Public policy is where the government gets involved. And here, my top goal is frankly very modest: Government agencies should stop subsidizing nonlocal competitors over local business in the name of economic development. Could you give me some examples of pollinators? Sure. An example of an interesting planning pollinator is a company based in Washington D.C. called Main Street Genome. It helps local businesses become more profitable by studying different parts of their business, identifying inefficiencies, fixing them, and then splitting the savings with the companies. Right now, they are working with a couple of hundred restaurants in Washington by studying their supplier invoices. When Main Street Genome finds price differentials with a given supplier, it renegotiates the supply contracts, and typically shaves about 10-15% off the total bill. If we look at people pollinators, a really good example is Fledge, a business accelerator in Seattle. There are more than 1,000 incubators in North America today, and nearly all of them depend on government grants or foundation money. But Fledge uses a different model. At the end of its incubation work, Fledge takes a couple of percentage points of equity in the beneficiary company. The company can then buy back that equity by paying a royalty payment on gross revenues over several years. An example of a partnership pollinator is Tucson Originals, which represents about 50 restaurants. Tucson Originals buys foodstuffs and kitchen equipment in bulk for the members, which brings down input prices and strengthens the entire the local restaurant community. A good example of a purchasing pollinator is the loyalty card sponsored by a company called Supportland. Every time you use the card at a local business, you get a discount and points that apply to future discounts at other local businesses. There are 80,000 Portland residents that are actively using this card, and Supportland is now spreading to other cities on the west coast. A good example of purse pollinator is the work of a colleague of mine, Jenny Kassan, who used to work for Cutting Edge Capital and is now working independently. She’s an attorney who is helping local businesses create local stock issues – through direct public offerings – and charges significantly less than mainstream law firms. The Democracy Collaborative, of course, has as part of our mission the goal of reducing wealth and income inequality. To what extent do localist efforts address the nation’s rapidly growing wealth and income gaps? I too am deeply committed to this goal as well, and one of the best ways localists can improve social equality is by ending what I call “investment apartheid.” U.S. investment laws incentivize all of us to put all of our money into Fortune 500 companies. If you’re in the top 1% of wealth holders or income earners, you’re allowed to invest in anything anytime. If you’re in the other 99%, you can’t put a penny into a local business unless the business spends between $25,000 and $100,000 for legal disclosure documents. Very few local businesses can afford their lawyer bills. The result is that even though local small businesses constitute more than half the economy, and many are highly profitable and competitive, they receive far less than half of our banking capital and almost none of our long-term capital from pension funds. Fixing our capital markets is critical to reconnecting residents of a community to ownership of the businesses operating within that community. That, in and of itself, doesn’t redistribute wealth. But it matters a great deal, because the Fortune 500 companies under the current system have too much capital and community-based businesses have too little. The more capital that moves from Wall Street to Main Street, the more we will finance those businesses that can reduce inequality. Remember, studies show that growing local businesses reduces poverty and inequality. You were actively involved in the effort to pass the Jumpstart Our Business Startups Act (JOBS Act). But as you know, the JOBS Act, as passed, is a bit of a mixed bag. What would you say are its strengths and in what ways would you have liked it to have turned out differently? What I initially argued for in 2009, in an article I wrote for the Federal Reserve, was a $100 exemption in securities law. The idea was that any American should be able invest $100 at any time with no legal paperwork. A $100 investment won’t affect anyone’s life savings. You probably only would make a $100 investment in a company you knew and care about – like your local co-op. So this proposal was all about making it easier for local, small-scale investing. What happened next was that a congressional committee started looking at crowdfunding options, and it decided that any American should be able to invest, not $100, but up to $10,000. And they did not want to limit this to investment in local businesses. They wanted to open up the law so that anyone could invest up to $10,000 in any business across the country. I had two qualms about these changes. First, $10,000 was starting to get into territory where grassroots investors could lose significant chunks of their life savings. Second, allowing people to invest over long distances defeated the whole point of local investment. And the two issues are intertwined. If you get to know a company in your own backyard, you’re much less likely to get snookered in some kind of Enron-like fraud. The farther away a company, the less transparent it is, the more we should want the law to require the company to provide a boatload of facts and figures. The closer the company is, the easier it is for a local investor to get to know the manager and the workforce, and the less one needs all that legal mumbo jumbo. The JOBS Act then moved to the Senate, where the maximum investment was pared back to $2,000 and a bunch of new legal requirements were added (for example that stock can only be sold on an internet portal licensed by the Securities and Exchanges Commission). As a result, it’s not at all clear that raising capital through the JOBS Act will be cheaper and easier than existing pathways to raise capital. It all depends on the final rules promulgated by the SEC. Under the terms of the JOBS Act, the SEC was supposed to have issued regulations in December 2012, seven or eight months after the bill was signed. It still has not done so [for the crowdfunding section, also known as Title III] three years later, and in my judgment, this inaction has effectively sabotaged the JOBS Act. The companies that set themselves up to run portals to implement the act have run out of money and are going out of business. But what has happened next is more than a dozen states have passed their own versions of the JOBS Act. Each of these state laws only governs transactions within the state—which means, by definition, they are only facilitating local investment. So I would argue that we are kind of creating a system for local investment that is cheaper and has less potential for fraud than whatever the JOBS Act ultimately manifests. So I am happy right now. Could you talk about the role of anchor institutions in buy local strategies? Well, in The Local Economy Solution, I write about examples of companies and institutions, such as Zingerman’s Community of Businesses in Ann Arbor, that incorporate economic development into their business behavior. Whenever large anchor institutions begin to do this, they can have a very profound effect on the local economy. I write about the Oberlin Project, where David Orr has been recruiting in the greater Cleveland area foundations, universities, sports teams, and government institutions to redirect their purchasing and investment locally. It’s a great model. By definition anchors are large, and when they lead others follow. Could you talk about your role in helping form one leading organization in the localist movement, the Business Alliance for Local Living Economies (BALLE)? What is the current state of play for localism today? I was actively involved in the founding of BALLE and was on the board for about seven years. Every one of the founders brought different skills to the table, and I suppose mine was a theory about how and why local businesses matter for economic prosperity. In the early years, we were a tiny organization with a tiny staff. At one point in 2009, we received a couple of grants that allowed us to expand and I was hired (after resigning from the board) to develop an economic development program for BALLE. But the board and the executive director did not see eye to eye, so my job changed direction and scale. I continued to work on a few economic development projects for BALLE, but it was pretty clear that BALLE was moving in a different direction, so I left at the end of 2010. This economic development work is still important, but now it has to be done outside BALLE. And this is one reason I wrote the new book. When you look at the 80 or so networks affiliated by BALLE, the typical network is 50% dependent on foundation funding. BALLE networks that figure out how to self-finance their activities are going to have more impact, hire more people, and accomplish more. The pollinators book presents BALLE network leaders with 28 business models that they might consider bringing into their organizations. In fact, two of the models are from existing BALLE networks. It is not just BALLE affiliates that need a solid business model. The same argument applies to communities affiliated with AMIBA, with the Main Street Program, or with microenterprise associations. No matter what your focal point of local economy-building is, you should look at the pollinator models for ideas about how to wean yourself off of unreliable foundation or government grants. The idea of buying local is a lot more visible today than when you wrote Going Local. What has caused this? What would you say some of the leading achievements of the localist movement have been? You know, I visit 40 or 50 communities each year to speak, many in deeply conservative areas, and every place I go, I see signs that say buy local, eat local, bank local. I have never seen the sign, “We are not local—buy from us.” We have won the war of ideas. We have also won the war of research findings. There is now overwhelming data and analysis that local businesses are the best contributors to economic development. In fact, there are so many studies all pointing in the same direction that they are getting boring. So real accomplishments? The changes in securities law we just discussed stands out. It’s hard to appreciate the impact right now because these laws have changed recently. But we have laid the table for a huge shift in capital out of Wall Street. We also have documentation that in many cities, particularly those with good local business alliances, that “local first” campaigns have made a big difference in the bottom line of local businesses. One of the reasons for these successes are that the economies of small scale inherent in local business are a lot better than anyone thought. If local business goods and services were significantly more expensive than their global competition, the buy-local movement would have backfired. But in fact buy-local campaigns almost always move consumers in the right direction. That’s because local businesses have one consistent flaw­—they are poor marketers of themselves. Buy local programs turn out to improve consumer awareness about great local goods and services that they otherwise were overlooking. Another cause of our success is that there is just a lot more distrust of Fortune 500 companies. The economic collapse of 2008 sowed doubt. Occupy Wall Street deepened it. Lots of people with diverse political perspectives are thinking about more ways to support businesses in their community. Is the movement making any inroads in the field of economic development? Not fast enough. Again, I think the intellectual argument has been won. All of the evidence right now weighs in favor of local economic development. But other factors are leading economic developers to continue doing what they have always been doing. Some simply aren’t aware of the new research that shows that the old “attract and retain” strategies are counter-productive. But even if they were aware, at the end of the day many economic developers are driven more by politics than economics. Politically, you get better press if you can announce once global company that moves in and creates 1,000 jobs. That’s page A-1 news. If you have 100 successful local projects each producing ten jobs, that’s page D-7 news. Because of this, the uninformed public believes that big outside attractions are the only kind of economic development that’s real and worth having. That’s what also drives economic developers and the politicians that support them. Economic developers deepen this public misunderstanding by always being able to point to a few minor programs they have – say, a small microenterprise fund – that support local small business. But it’s a little bit like what used to be called in fairy tales an “elephant-mouse” casserole. When you add one elephant and one mouse in “equal” proportions, it still tastes an awful like an elephant. That’s why economic development, despite a few minor initiatives aimed at local business, is largely about supporting global corporations—and not taking good care of the local economy. I think it is time for those of us in the local economy movement to fight back. We can’t say it is okay for a city to pay millions for outside business AND support local business. The pie is too limited. Every dollar wasted on outside attraction is a dollar that cannot be invested in local economic development. Every hour spent wasting time in international trips is an hour not spent down the block. What do you see as the potential of the localist movement going forward? I do believe that the pollinator models are the future of our movement. The more, city by city, we reorganize economic development around pollinator models, the more we will be able to carry out the right kind economic development, focused on local businesses, without depending on unreliable streams of government or foundation money. Once our movement is financially more independent and has more resources, we can then fight politically with greater effect. Public policy can and should support pollinators. But the most important agenda item for public policymakers is to stop destroying local business. Defund attract-and-retain policies and use the savings for local economic development– that would be an incredible first step. Anything else in terms of policy? In The Small-Mart Revolution, I presented a list of about 50 local policies that would be useful for local economic development. Let me mention just two that cost little or nothing: move your city’s banking to a local bank or credit union; and overhaul procurement, so it results in the fair reward of municipal contracts to local businesses. At the state level, I would continue to prioritize overhaul securities law. States also should look at creating public banks like North Dakota’s. And they too should reform their procurement practices. If you were to highlight some key accomplishments of your work to date that you are proudest of, what would they be? I think getting the JOBS Act passed, even though it was flawed, provided a foundation for getting some excellent state securities reforms passed. I played a very active role in promoting the reforms in Maryland, Colorado and Oregon, and an indirect role in the other states. Having spent most of my life aligning myself with losing causes, this recent experience is a bit disorienting. I do think a surprising difference between smart local businesses and smart Fortune 500 businesses is that while Fortune 500 businesses are trying to build global empires, local businesses are happy to share their best ideas with entrepreneurs worldwide. We therefore need to connect similar businesses businesses all over the world—so that local restaurants learn from one another and local smelting companies learn how to undertake more efficient small-scale steel production. That level of specificity, information building, and network building will enable us to make the localist revolution truly global.